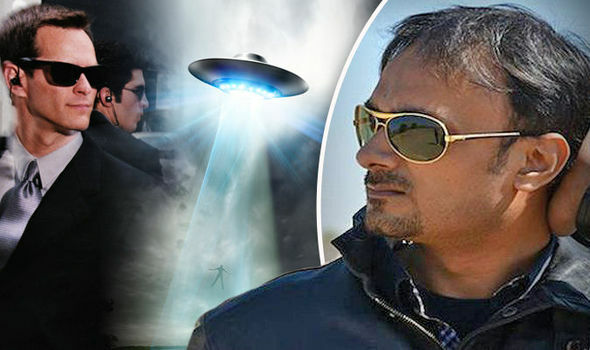 Did MIB Kill Indian UFO Investigator? Gaurav Tiwari was found at his Dwarka flat in northwestern India under what has been reported as "mysterious circumstances". It has led to new claims that as many as "dozens" of other UFO investigators have died in suspicious circumstances over the years. The Times of India reported that Mr Tiwari's death was treated as suicide. But relatives say as a newly wed he had no reason to end his life and that he seemed normal in the run up to his death. According to father, Uday Tiwari, he was drinking coffee with his wife when there was a loud thud from the bathroom. They found him unresponsive on the floor and he could not be revived. A possible murder witness is talking. The question is whether anyone should listen. His name is “Bud,” and he’s an African gray parrot in Ensley Township, Mich., with a filthy mouth, according to NBC affiliate WOODTV. The bird’s antics might be laughed off, were it not for the fact that Bud’s owner, 45-year-old Martin Duram, was fatally shot at his home in May 2015, according to ABC affiliate WABC. His body was found near his wife, Glenna, who had suffered a gunshot wound to her head but is alive. Though police initially assumed Glenna Duram was a victim of the shooting, police reports obtained by WOODTV reveal that she is now a suspect in the slaying. Relatives told the station that they believe Martin Duram’s final moments were imprinted in the bird’s memory and that he continues to relive the slaying. They noted that Bud mimicked both Durham and his wife. “That bird picks up everything and anything, and it’s got the filthiest mouth around,” Duram’s mom, Lillian Duram, told WOODTV. “I personally think he was there and he remembers it and he was saying it,” Duram’s father, Charles Duram, added. Bud’s new owner, Martin’s ex-wife, Christina Keller, agrees, telling the station that the bird has a habit of replaying voices of a man and a woman locked in a fierce disagreement.